In order to protect critical infrastructures such as nuclear power plants, transportation stations, and airports, additional layers of security are being implemented with Time-of-Flight laser scanners. What makes these scanners distinct is that they are extremely accurate, highly programmable, and designed to withstand inclement weather. The laser’s invisible infrared (IR) barrier triggers an alarm once the plane has been broken. Within airports, the LMS 1XX and TiM 3XX are replacing the metal gates used after closing in both restaurants and shops. 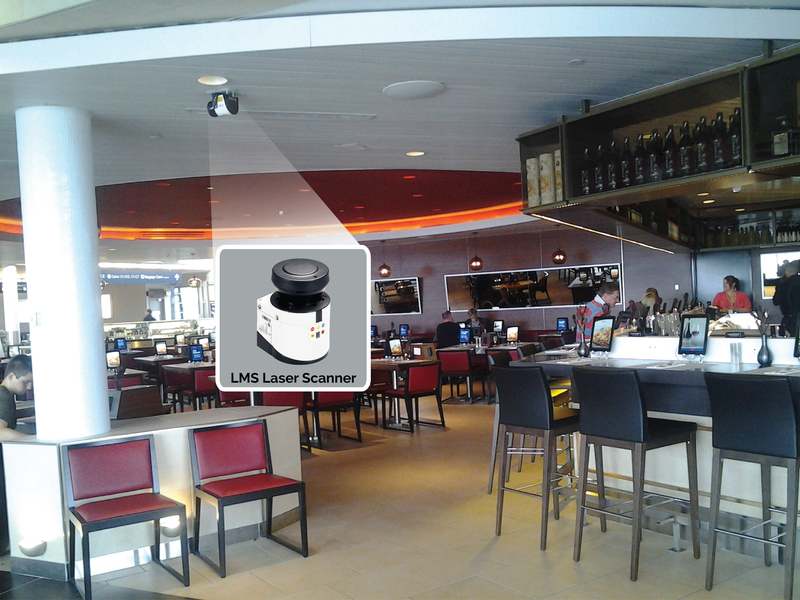 The laser scanners have been a great new alternative because they are more cost effective, do not require maintenance, and have proven to be extremely reliable for airport security. 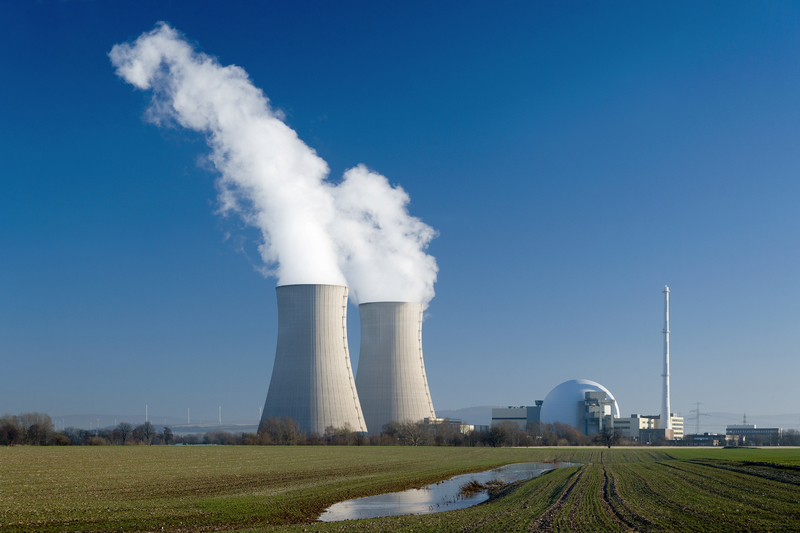 Nuclear power plants have also turned to laser scanners because of their filtering capabilities and accuracy. With the multi-echo technology, the scanners are able to accurately detect targets despite weather conditions such as, heavy rain, fog, sleet, and/or snow. Access Control UL294/294B Regulations: Why Do They Matter? UL294 is the standard of safety for Access Control System units that all access control systems must meet. UL294B is a newer standard, specifically for the use of Power over Ethernet (PoE) components used within access control systems where PoE is the primary power source. Government and state regulations are moving toward required UL294 compliance. Comtrol’s RocketLinx ACS7106 is the first UL294B certified switch enabling confidence in deployment and integration within access control systems. 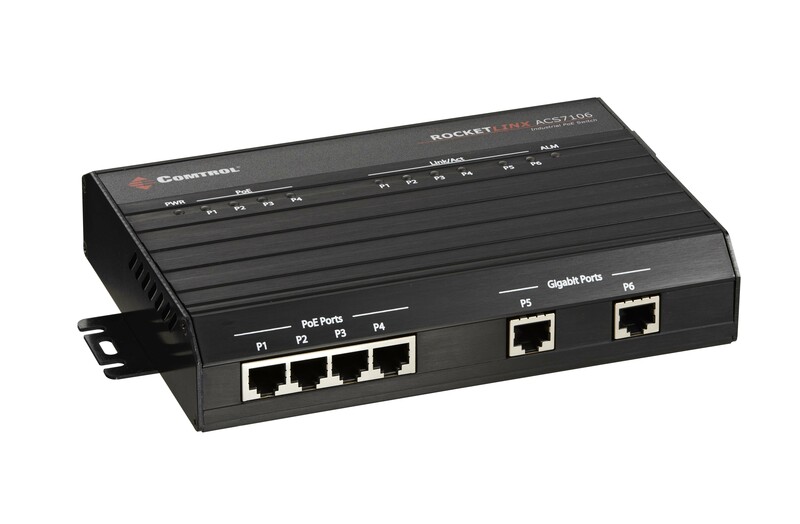 The ACS7106 switch features four 10/100BASE-TX PoE Plus ports for providing power and data to remote PDs (Powered Devices) such as access card readers and IP surveillance cameras, and two 10/100/1000BASE-TX uplink ports that assure maximum throughput for high bandwidth applications. b) Access to or the use of a device(s) by electrical, electronic or mechanical means. 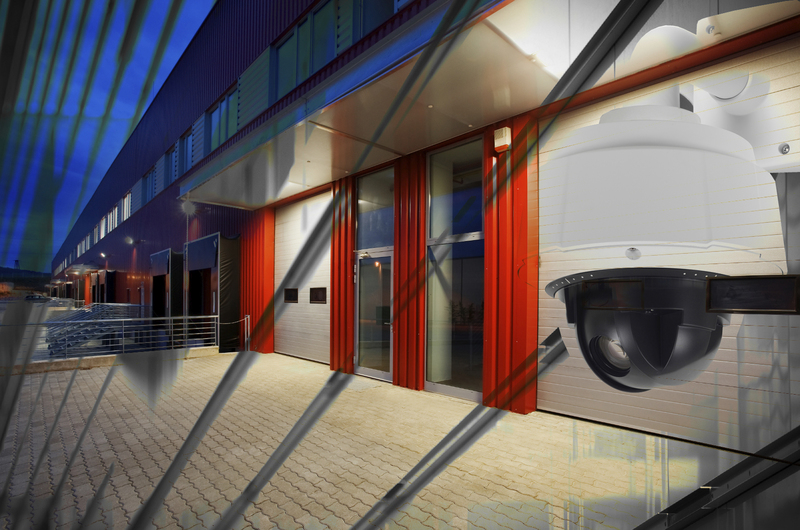 Simple perimeter alarms and barbed wire are no longer enough to protect critical infrastructure from unauthorized access, vandalism, and theft. Interior monitoring is becoming more important in providing a complete security system in mining environments. A large mining company in Chile has enhanced its security system using video monitoring. A security integration company chose Comtrol’s RocketLinx® ES7510-XT Power over Ethernet (PoE) switches for installation at a particular mine to construct a complete surveillance solution. Cameras monitor access points along with activity inside the mine. 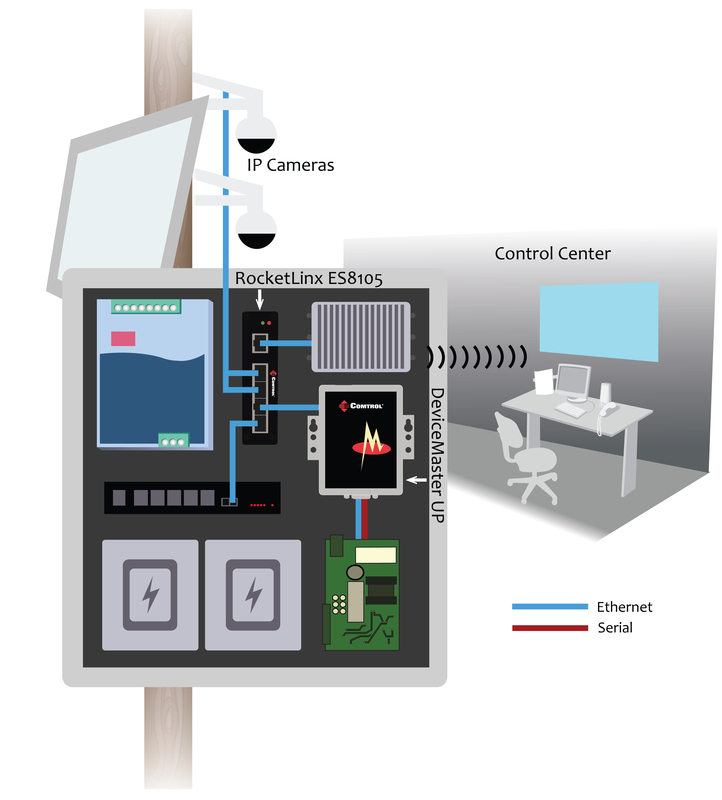 As seen at right, the camera feed is relayed to a remote monitoring station via the RocketLinx ES7510-XT switches and wireless radio equipment. The PoE switches are also being used in conjunction with slightly larger and more powerful surveillance cameras at an electrical substation near the mine. This video feed is also relayed to the remote monitoring station. Security personnel can monitor both feeds simultaneously for a complete surveillance of the mine. Comtrol Corporation today announced the release of the RocketLinx™ ACS7106, the first UL 294/294B listed Power over Ethernet switch designed for the access control market. The UL294B listing states compliance with the strict UL safety standards for access control equipment being increasingly mandated by state and local governments. The new RocketLinx ACS7106 offers access control integrators and systems builders the full benefits of PoE Plus for connecting card readers, electric strikes/locks, keypads and camera equipment. 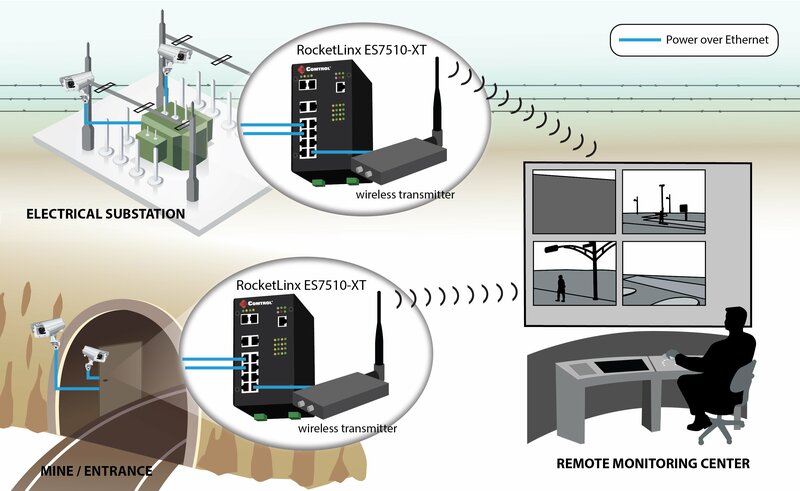 The RocketLinx ACS7106 is easily installed in outdoor or indoor industrial settings (extended operating temperature from -40° to 55°C) and is ideally suited for access control integration with four 10/100BASE-TX Gigabit uplink ports, assuring maximum throughput for high-bandwidth applications. Easy plug-and-play installation eliminates costs and cabling complexity typical with rack mounted or individual PoE midspans. We have announced our official partnership with Axis Communications through the Technology Partner Program (TPP), and look forward to working with Axis to continue to improve product compatibility, increase successful product integration and enhance end user experience! With rising value of scrap metal and struggling economies throughout the world, theft of copper and other materials is on the rise. Surveillance is increasing at energy substations, power plants and other critical infrastructure locations in attempt to deter thieves from cashing in stolen copper wiring, aluminum doors and other materials at scrap yards or metal melting facilities. Comtrol and a few other companies have collaborated to create a solar-powered security system to monitor critical infrastructure around the world. The system is responsible for monitoring the power grid and establishing surveillance to prevent material theft and protect critical operations. 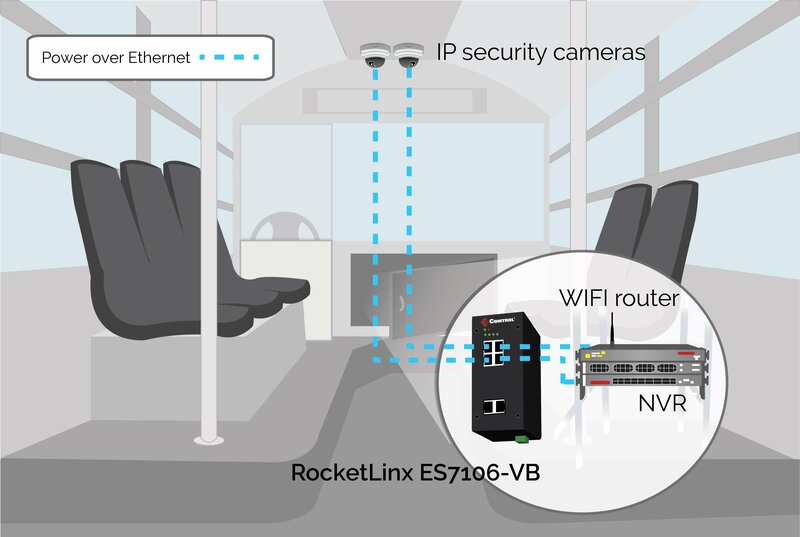 As seen in the diagram, security cameras in each location record live feed from the grounds to send via Ethernet to Comtrol’s RocketLinx® ES8105 industrial Ethernet switch. 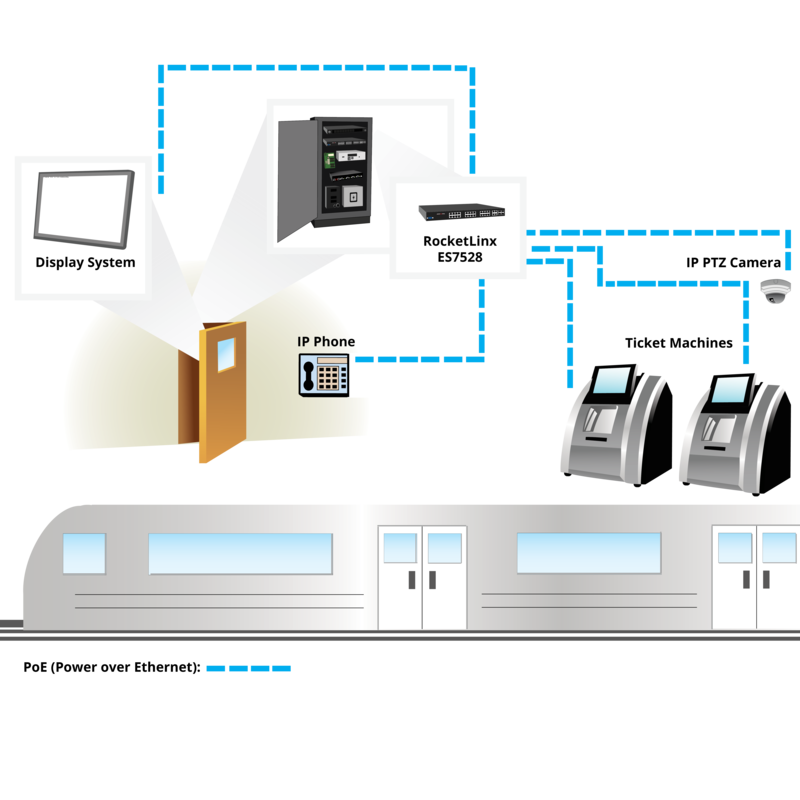 The data travels via Ethernet to a wireless bridge, which communicates the data to a remote control center network. Have you ever wanted the ability to cycle the power to an IP camera (or any other device) remotely but couldn’t? … Either because it is not a PoE powered device in the first place, or because it is a PoE++ camera that consumes 60+ watts of power and has its own custom power injector? If that is the case, you may find this little trick of great interest for your next camera deployment where you may need to hang one of those monster PoE++ cameras on a pole in a remote location, or work on a city-wide surveillance project – and getting someone up on a ladder to manually cycle the power is no small feat. Here is how the trick works. 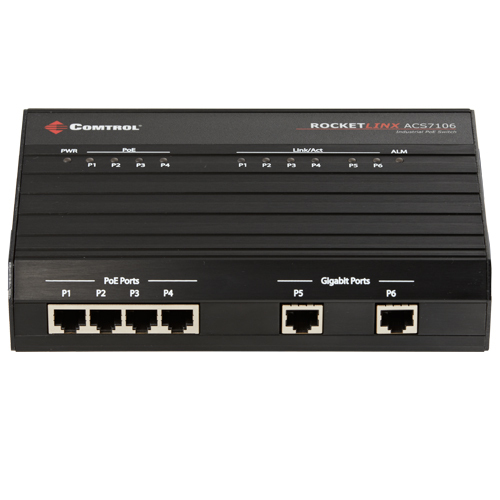 First, select any of Comtrol’s managed RocketLinx Ethernet switches. All of them have a relay that can be controlled via the online web interface. The relays on our switches are normally open and rated for a max of 24VDC @1amp so you will also need an industrial-grade relay in this setup as well. In this example, we are using this Potter & Brumfield relay with our switch that will accept a 24VDC coil voltage and will allow up to 10A 240VAC to be pumped through the contact. A relay socket can be plugged into the relay which makes it easier to make the connections. Here is the general diagram for making the necessary connections. Once everything is wired, log into the web interface of the switch, open the warning folder and select the fault relay file. It will open to this screen. You just picked up some new Power over Ethernet devices – a few of the hottest new IP cameras. However, after opening the box you run into a series of unexpected problems. First: Each camera comes equipped with its PoE injector capable of supplying the appropriate level of power. However, prior to even mocking up your panel it becomes clear – four PoE injectors and a standard Ethernet switch will not fit! In an effort to maintain a reasonable panel size, you ditch the PoE injectors in favor of a Power over Ethernet switch, a single product that will replace all four injectors and provide Ethernet switching. So far so good. Second: After deciding that a PoE switch will best suit your need, you set out on a search for the cheapest PoE switch you can find. Before long you realize the injectors were provided so that the cameras receive the exact amount of power they are optimized to run at. 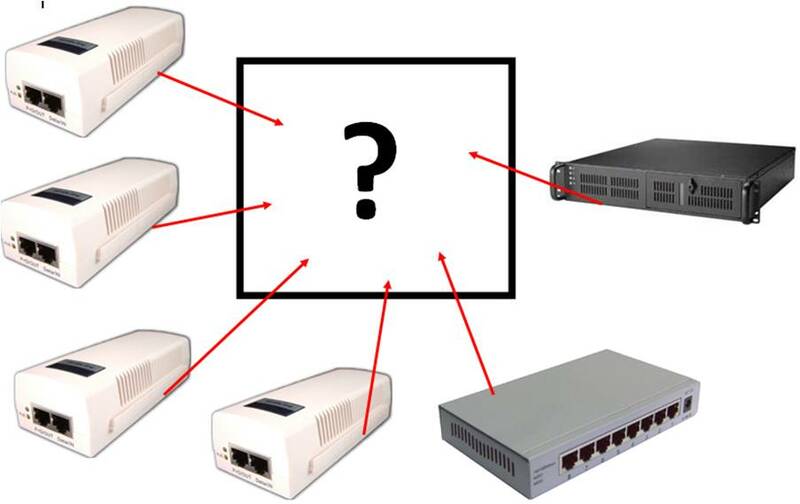 With this new concern in mind, the search moves from the “cheapest switch” to the “right switch.” In order to identify the right switch, you will need some information… but where do you look?